Each Salon can contain folders and sub-folders. The folders allow salon managers/instructors to organize content in a way that makes the most sense. Folders can be used to represent lectures, units, students, groups etc. 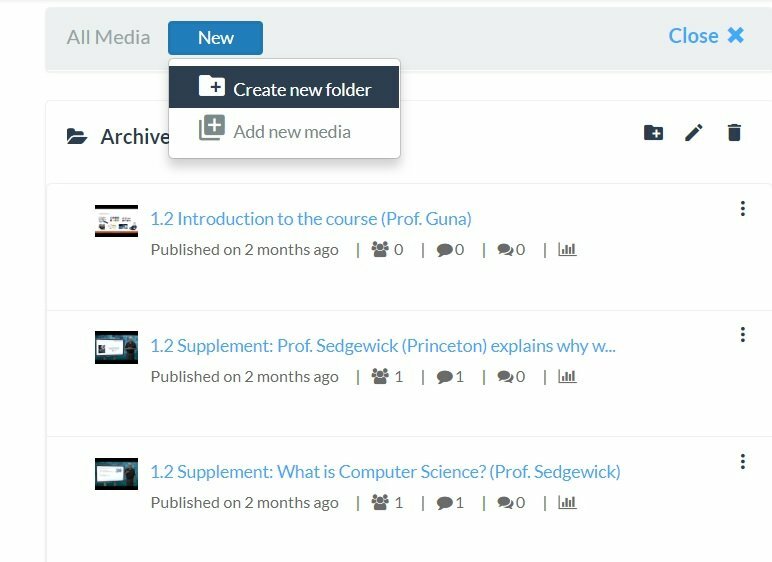 By maintaining a folder structure within salon media it becomes easy to organize course content.